Philadelphia Police are seeking two suspects who allegedly ransacked a woman's car in late January and stole two tickets to Super Bowl LII, along with other items and $150 cash. Philadelphia police are asking the public's help in finding two men wanted for allegedly stealing cash and several items, including two tickets to Super Bowl LII. Police said a 38-year-old woman parked her car inside the parking garage at 1001 N. Delaware Ave. on the night of Jan. 26. It had been ransacked when she returned around 4:30 p.m. the next day, about a week before the Eagles beat the New England Patriots in the Super Bowl, police said. The tickets, one pair of Michael Kors boots, a Luis Vuitton clutch purse and a social security card were taken along with $150 cash, police said. 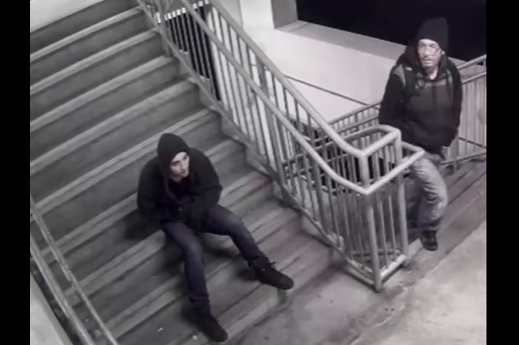 A three-minute-long video released by the police department on Thursday shows two suspects arriving to the garage in a grey sedan with a damaged front passenger-side door and parking there around 11 p.m. They are then shown walking through the garage and ultimately driving away around 11:22 p.m. The video does not show the alleged incident. Overall, police valued everything taken at nearly $4,800. Anyone with information can call 215-686-8477 or text a confidential tip to PPD TIP (773847). The department's East Detective Division is handling the investigation and can be reached at 215-686-3243 or 215-686-3243.